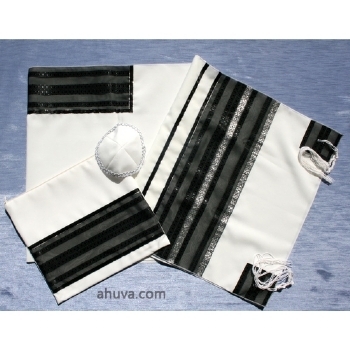 Black & Silver Design Tallit Set is carefully stictched with the detail shown above. Silver is classic with black and this tallit will be a classic for years to come. Bag and Kippah included.